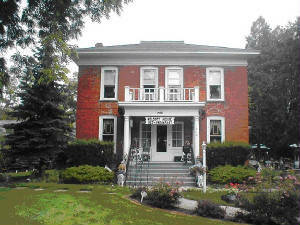 The Wolcott House B&B is a stately red brick Italianate style home built near the turn of the 20th Century and located in Historic Fenton Michigan. It was once owned by the prominent Wolcott Family, owners of the Wolcott Mill in downtown Fenton. Today, Elaine & Sean Rosekrans are your hosts at what they have transformed into a charming Bed & Breakfast establishment. This Bed & Breakfast offers three beautiful guest rooms, each with it's own unique decor. A full gourmet breakfast is served each morning. This home also offers the grounds and parlour for intimate weddings. Also served by reservation is a four course Victorian Tea. 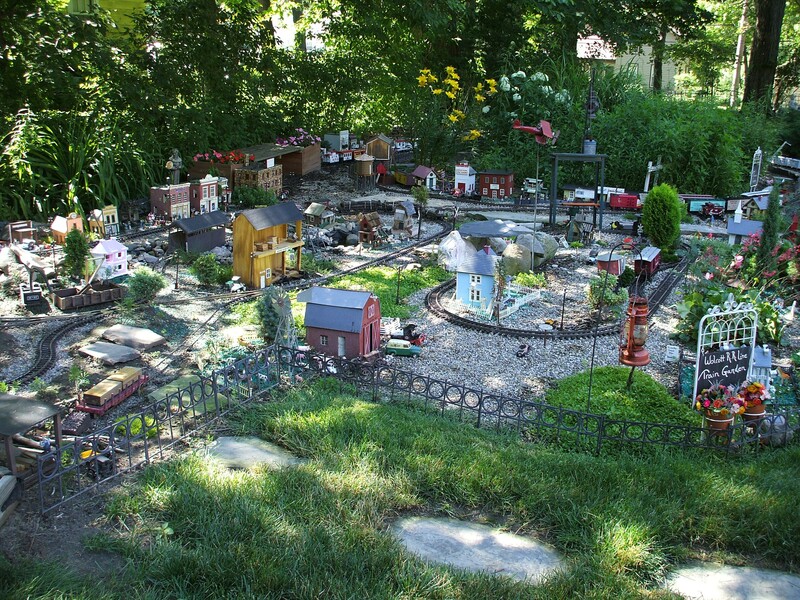 One of the warm weather attractions here at The Wolcott House Bed & Breakfast is the Train Garden. Over the last several years, Sean has taken great pride in what he calls, The Wolcott Rail Road Line. Extended over a large portion of the land are five G-Scale train tracks with destinations to The Wolcott Mines, The Wolcott Bros. Circus, The Tiny Town of Wolcott, The Wolcott Lumber Camp, and Lake Wolcott. Check in is between the hours of 4pm and 9pm unless prior arrangements have been made. Check-out is by 11am on your last day. WE NOW OFFER FREE WI-FI INTERNET TO OUR GUESTS!! Click on any of the above sites for more information. Step back in time at our turn of the century Inn.